Do you bring your whole self to work? What passion and personal experience do you bring to work and how does that fuel your ability to create and innovate on the job? If you were asked to write an essay in response to these questions and reflect deeply about who you are and how that contributes to what you do at work, what would you write? 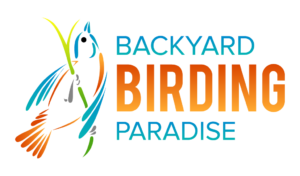 “My adventure as a backyard birder stems from taking my first photography class as a little girl in summer school. It was then I learned how to develop my own black and white pictures and I took to the craft like a duck takes to water, shooting family and sporting events at every opportunity. Many birthdays later, I received my first “real” camera from my father, and that’s when my passion for photographing nature really took flight. Over the last several years I’ve enjoyed using a Nikon D3000 Digital SLR and 300mm zoom lens to photograph and study my backyard birds. In fact, last year my husband and I certified our property as a wildlife habitat and bird sanctuary so I could do more of that. I maintain over 20 different bird feeders and we purchase more than 80lbs of bird seed each month. I take hundreds of bird pictures each week and adding a new species to my life list gives me goose bumps. Yes, I talk to the birds. One thing I love about watching birds is watching bird communication. 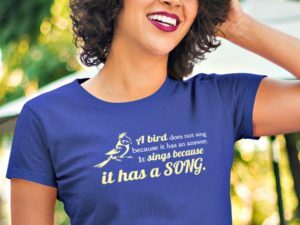 Birds communicate using a variety of sounds, including singing, calls, squawks, gurgles, trills, rattles, clicks, whistles, and other combinations of vibration. Some make non-vocal sounds by beating the air with their wings and producing a loud drumming noise. Others communicate with visual displays, combining dramatic behaviors with the ruffling of feathers. And, whether scaring off predators, warning about danger, defending one’s territory, or attracting a mate, nothing birds communicate is without purpose. People also communicate using a variety of sounds and visual displays or behaviors, and one thing I’ve learned from my backyard birds is the need to communicate with purpose. Context, accurate information, choice points, and feedback needn’t be as scarce as hen’s teeth and I can avoid ruffling feathers by choosing my words and tone carefully. This rings especially true in my role as an executive communication lead, where messaging, intention, and design can have either a positive or negative impact on my colleagues and the business. How would your essay read?